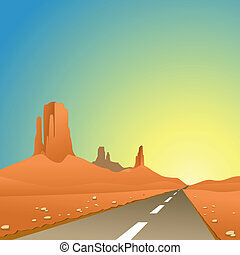 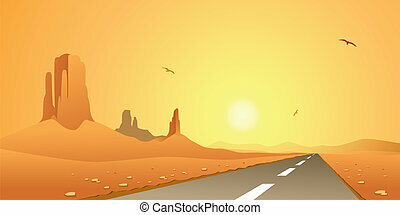 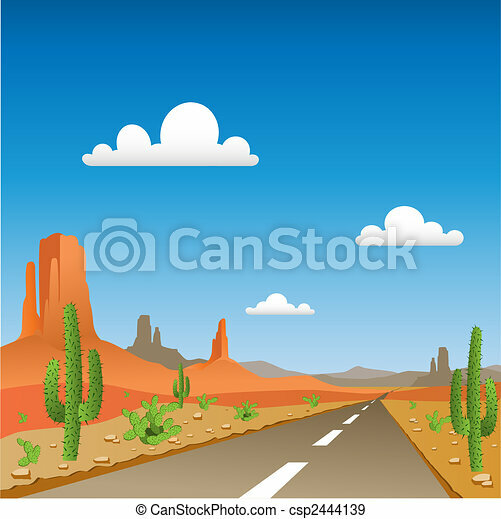 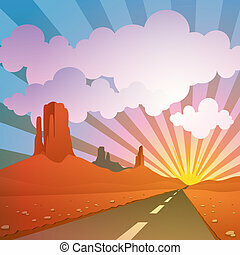 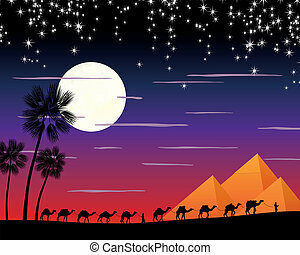 A desert landscape with road. 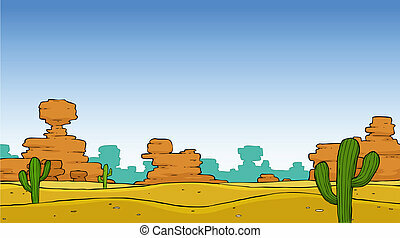 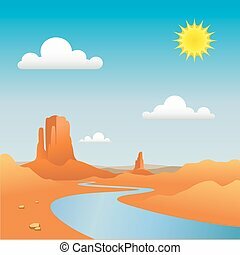 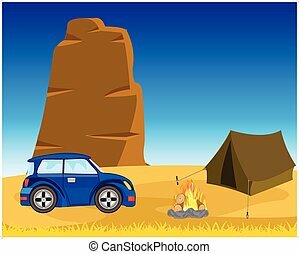 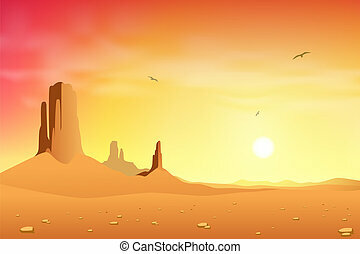 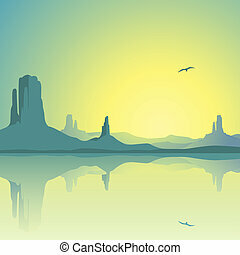 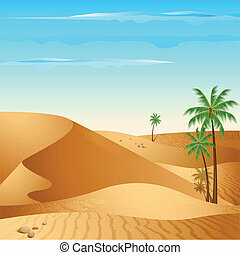 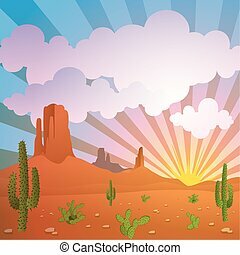 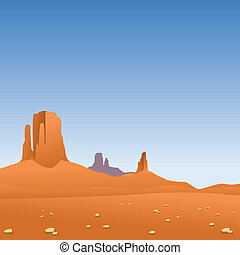 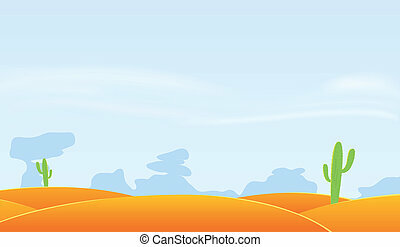 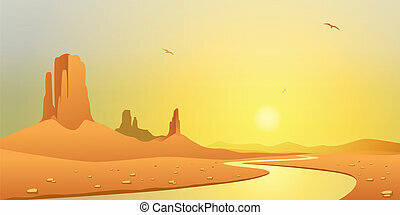 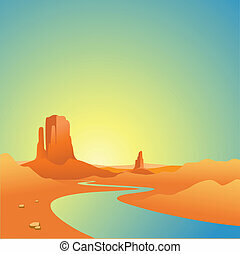 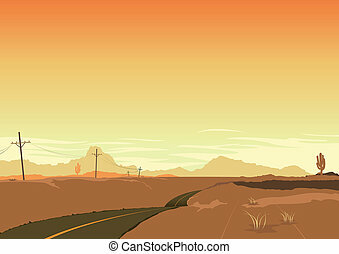 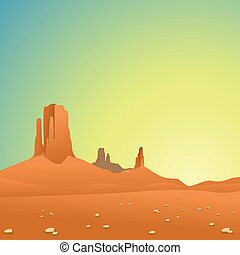 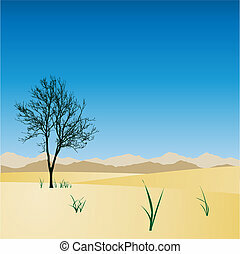 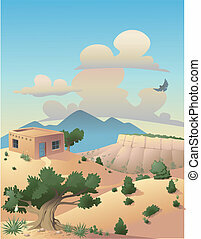 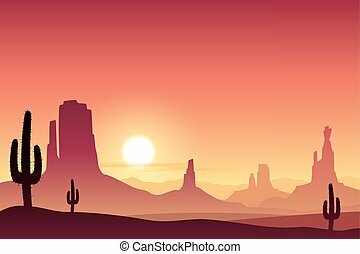 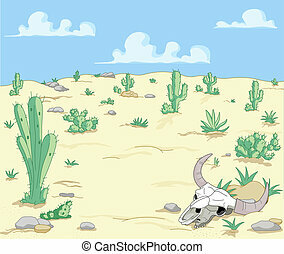 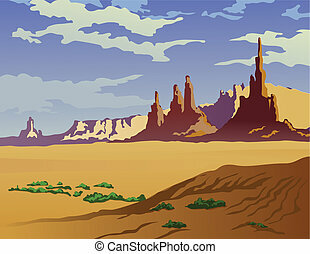 Illustration of a desert landscape in the Southwestern United States. 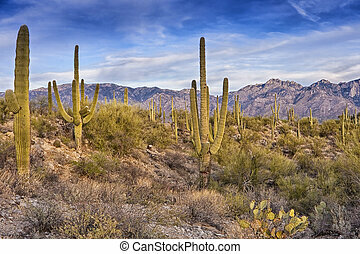 Landscape of the Arizona desert. 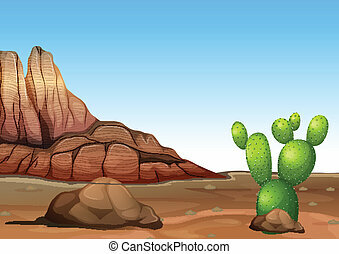 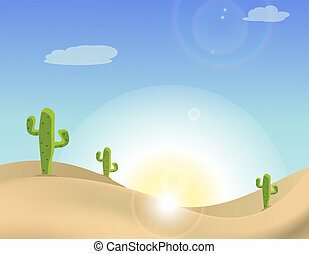 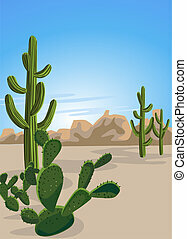 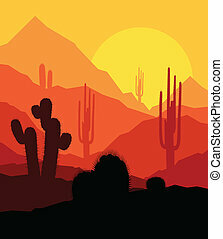 Yellow desert scene with cactus plants, weeds and mountains. 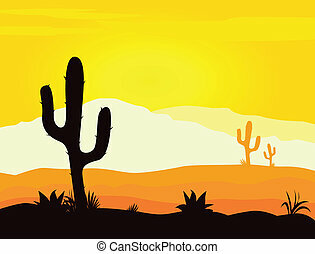 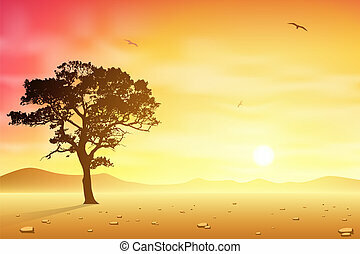 Sunset in mexico desert.